With a string of local and international awards and after touring 17 countries, Magnet Theatre’s longest running production, ‘Every Year, Every Day, I Am Walking’, returns to the Baxter for a limited season, from April 3 to 13, at 7.30pm nightly, with matinee performances. Created in September 2006, foreshadowing the first violent attacks on Somali nationals in the Western Cape, ‘Every Year, Every Day, I Am Walking’ was born out of an intense empathy with – and imagining of – what it must be like to lose one’s home and to feel strange in another place. Original music for the production is by Neo Muyanga, with choreographic sequences by Ina Wichterich, set by Julia Anastasopoulos (Suzelle DIY, ‘Tali’s Wedding Diary’) and lighting by Daniel Galloway. Yisa and Reznek first performed together under Mark Fleishman’s direction in 2004 in ‘Fireraisers’. Since then this formidable team have created celebrated productions like ‘Voices Made Night’, ‘Cargo’, ‘Every Year, Every Day, I Am Walking’ and ‘Autopsy’. 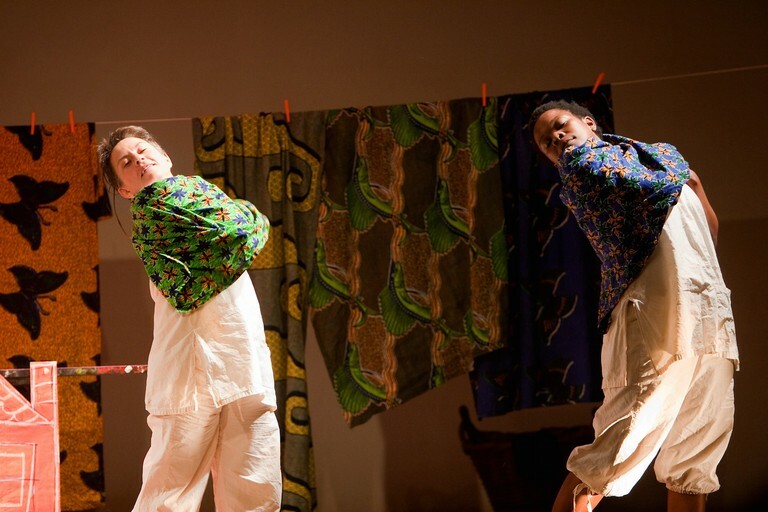 The revival of this young classic, poignant and ground-breaking theatre piece is a rare opportunity to see an example of physical theatre that has impacted so strongly on the development of physical and image theatre in South Africa. * ‘Every Year, Every Day, I Am Walking’ is on at the Baxter Flipside from April 3 to 13 at 7.30pm nightly. There are matinee performances on April 4 and 11 at 11am and at 3pm on Saturdays, April 6 and 13. There is an age restriction of 10 years. Ticket prices range from R50 (scholars/students and matinee block-bookings of 10 or more), R70 (block-bookings of 10 or more for evening performances) to R150. Booking is now open at Webtickets on 086 111 0005, online at www.webtickets.co.za, or from selected Pick n Pay stores.